Presentation event set for August 26. 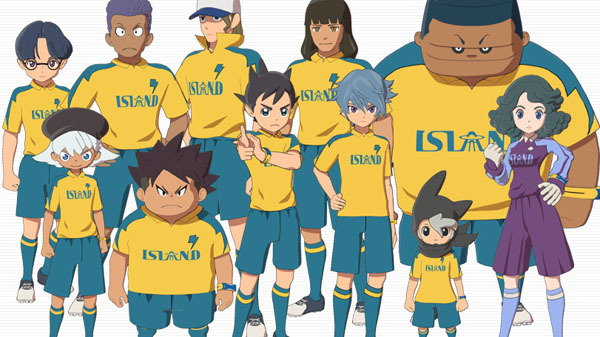 Inazuma Eleven Ares will have a “Scout” system that enables players to form their own team with any player from the Raimon Junior High School, Seishou Academy, Outei Tsukinomiya Junior High, Teikoku Academy, Eisei Academy, Hakuren Junior High, Zeus Junior High, Kidokawa Seishuu Junior High, and Tonegawa Tousen Junior High teams, the latest issue of CoroCoro Comic reveals. Our source also mentions a command battle system with high action and psychological warfare where players can get the feel of a real soccer game, but does not go into further detail. A presentation event for Inazuma Eleven Ares will be held on August 26. It is possible the final release date will be announced. Inazuma Eleven Ares is currently planned for release on PlayStation 4, Switch, and smartphones this fall in Japan. Outside of Inazuma Eleven Ares, the magazine reveals that Level-5 will release Inazuma Eleven for Nintendo 3DS via the Nintendo eShop as a free download this summer in Japan.